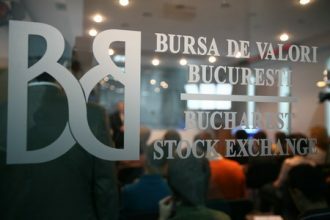 The main index of the Bucharest Stock Exchange (BVB), BET, registered the second highest increase in the European Union (8.5%) in the first nine months of the year. On the other hand, the local stock exchange continues to suffer in terms of liquidity, in the absence of new listings of large companies, according to a PwC Romania report. 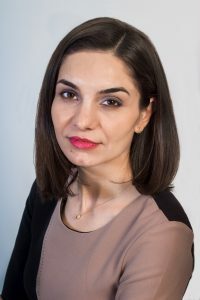 “The local capital market looks good, but it still has a low liquidity and needs a constant number of initial public offering (IPO),” says Ileana Gutu, Senior Manager -economic assessment and analysis services, PwC Romania. In the last three years, only two large IPOs, MedLife and DIGI Communications, have taken place in Bucharest, but they have not led to a consistent increase in the value of transactions, still capped below EUR 10 million a day. “That would strengthen the position of the local market and prove to investors and entrepreneurs that the stock exchange is a viable option for developing the businesses,” adds Ileana Gutu (photo). Instead, Hidroelectrica’s listing keeps being postponed, a listing from which an increase in liquidity is expected, which would advance the Romanian stock market from frontier to emerging market status, which would considerably multiply foreign investment flows. Unlike the Bucharest Stock Exchange, Sofia Stock Exchange ranks fourth by the value of IPOs issued in the third quarter of the year, due to the listing of Gradus poultry meat producer in August, according to the latest IPO Watch Europe report published by PwC. First three positions are held by London Stock Exchange, Euronext and the Italian Stock Exchange. In the third quarter of 2018, IPOs launched in Europe amounted to EUR 3.9 billion, less by 53% compared to the same period of 2017. 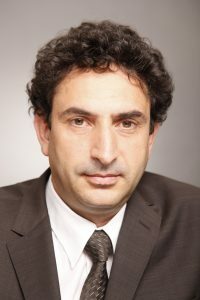 The geopolitical situation and the summer holiday “affected the activity on the capital markets in the third quarter, when IPOs launched in Europe reached the lowest levels in the last two years,” said Sorin Petre (photo), Partner – economic assessment and analysis services, PwC Romania. “The fourth quarter forecasts have to be analysed in the light of the recent signals from the world capital markets that have seen some major corrections in some cases. In this context, it may take some more time before we see a mega-IPO,” adds the expert. BET index of the Bucharest Stock Exchange, the second best performing reference index in the EU after the Cypriot index (CYMAIN), represents the weighted average of price variations in top 13 most important companies listed on the BSE. Another important index for Bucharest, NET -TR “total return” index, which includes dividends, increased by 17.54% in the first nine months of the year.